Is your house or basement experiencing flooding from a storm? Has a sewer main been ruptured? Contact the emergency water damage restoration experts in Fuquay-Varina, NC at Carolina Water Damage Restoration. We are available anytime day or night and are always on call to handle your water damage emergencies. Storms in Eastern & Central NC happen year round and have the potential to cause storm damage to your home or business. If a storm has caused water damage to your home or business, Carolina Water Damage Restoration can provide storm damage repairs 24/7 365 days a year in Fuquay-Varina. Call today for a free consultation on your repairs. When you are ready to sell your home in Fuquay-Varina, home inspection services are required. If you are buying a home in Fuquay, a second opinion is always highly recommended. Carolina Water Damage Restoration can identify & fix water damage & mold pre or post inspection, so your old home is ready to sell and your new home is move-in ready. Carolina Water Damage Restoration serves many locations in the Triangle area of NC. Fuquay-Varina, just outside of Raleigh, NC is one of those areas that we can provide high quality emergency water damage restoration and repair. We choose to specialize in disaster restoration for water damage and water damage related issues you may face. 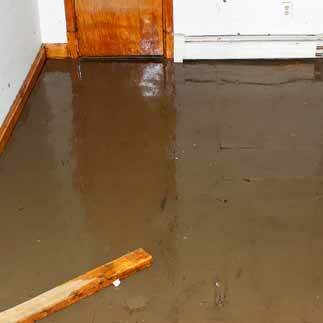 Issues such as mold damage, storm damage, basement floods, and sewage backup. We not only fix the issues, but we restore your home to the original condition before the water damage occurred. The expert water damage remediation team at Carolina Water Damage Restoration is trained to understand the water damage issue so we can identify the root and underlying causes of your water emergency. Because no two restoration service calls are the same, we’ll come out and do a thorough inspection, find all of the damage that may have been caused by the water, repair that damage, and restore your home to it’s original condition. We never stop working, this means we’re open 24/7 and 365 days a year to make sure your home and family are protected in a water damage emergency. If your home has become infested with mold, the damage to your home may be the least of your issues. Mold can affect the air quality of your living environment and in some cases may cause health problems. 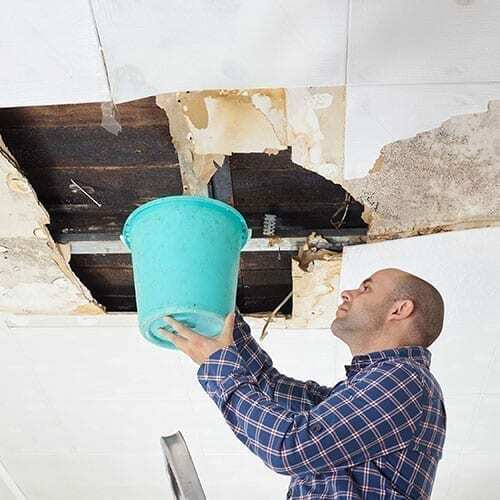 Don’t try to do it yourself on this fix, call an expert or mold remediation specialist like Carolina Water Damage Restoration, in Fuquay. We won’t just remove your mold, we’ll repair the damage that it’s caused and if needed install a HEPA filtration system to increase the quality of the air in your home or office. Once we’ve completed our initial mold remediation, we’ll make sure to do a second inspection to make sure that the problem won’t persist. So if you want to make sure that your home or office is mold free, call us today at 919-302-2729. If you are experiencing a sewage backup issue, from the bottom of our hearts, we’re sorry. 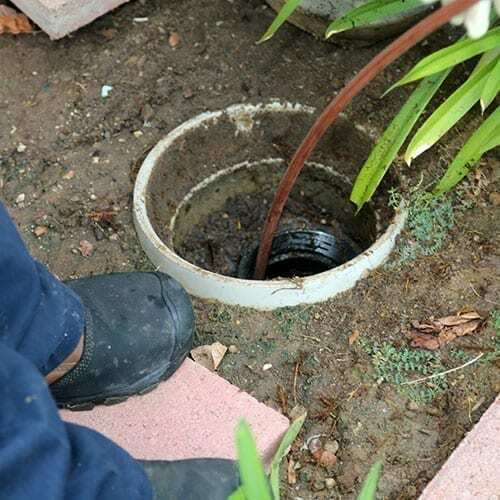 We know that sewer back up cleanups are difficult, time consuming and very unpleasant. When a sewer backs up, it can make your home unlivable, that’s why the experts at Carolina Water Damage Restoration work year round, 24 hours a day, so we can make sure that the issue is taken care of. There are many things that may cause your sewer to backup, including major storms. If you are in need of a high quality, professional sewage cleanup company, look no further than Carolina Water Damage Restoration. Call us at 919-302-2729 or contact us and let our back up cleanup experts take care of your sewage cleanup issues. When you are ready to sell your home in Fuquay-Varina, home inspection services are required. Often, inspection will reveal mold or water damage in your ceiling, crawlspace, attic, or between walls. These hard to reach and often unseen areas are the perfect breeding ground for mold when water damage occurs. If a Fuquay-Varina home inspection has revealed crawlspace water damage or ceiling leak issues, contact Carolina Water Damage Restoration. We provide the home inspection services you need including crawlspace repair and ceiling leak repair and restoration. If you have storm damage that needs to be repaired, or a backed up sewer that is causing a nightmare in your home, we want to talk to you. Carolina Water Damage Restoration is open 365 days a year and 24 hours every day. Contact us at 919-302-2729 or connect with us online and tell us what your issue is. We can be on-site quickly to help stopping the damage before it spreads. There are many causes of commercial water damage in Fuquay Varina, such as: leaky pipes, storms, and sewage backup. 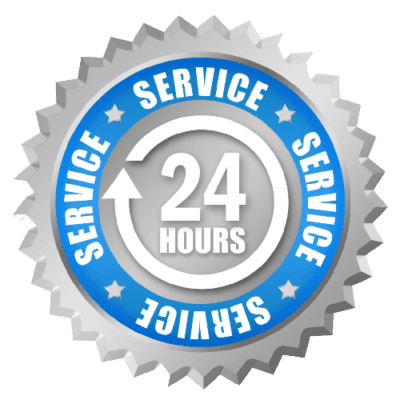 If your business or commercial property has been affected by water damage, call the experts at Carolina Water Damage Restoration 24 hours a day. 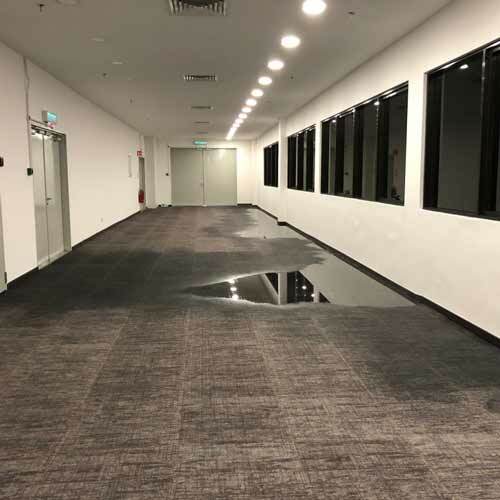 We are on call to handle the toughest commercial water damage projects. We work quickly and efficiently because we understand how important it is to get your commercial property or business back up and running in it’s original condition as soon as possible. Call us for a free commercial water damage consultation today. 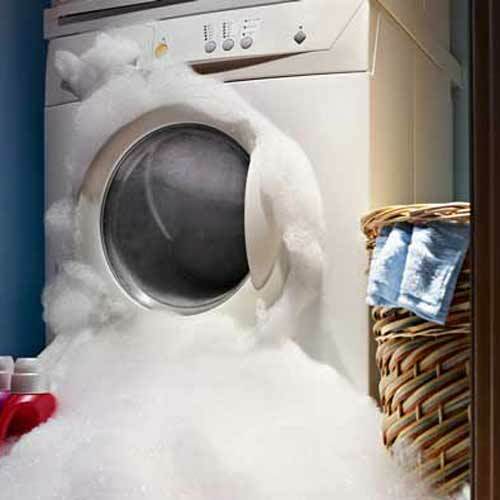 Appliances, such as washing water heaters, dishwashers, washing machines, and refrigerators can break or leak. If they do, there’s a good chance that fixing the appliance is only one of your worries. Water damage from broken appliances that have suddenly burst or overflowed can cause water to flood the areas close to those appliances. 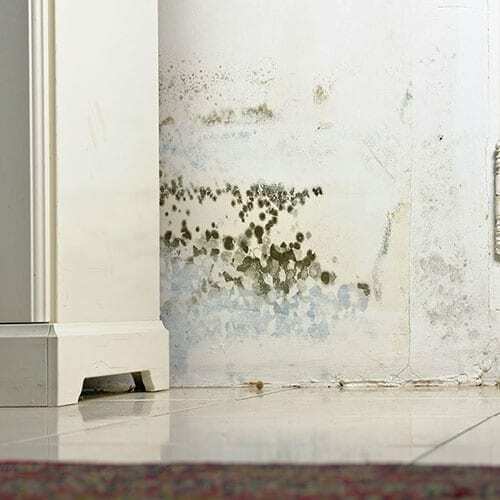 Slow leaks also occur from time to time, which could mean mold growth and rot have permeated an area and you may not have even noticed until the water damage is already severe. If you suspect your appliances have leaked OR if there’s been a sudden appliance burst or overflow in your home in Fuquay-Varina, call Carolina Water Damage for a free consultation. 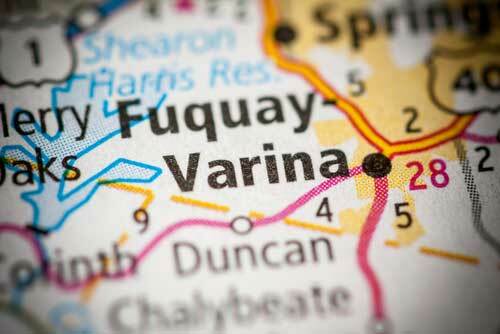 Living in Fuquay Varina means that water damage emergencies can strike at any time. Storms can lead to basement floods, backed up sewage, water damage, and if unchecked, toxic mold. It’s important to have a trusted & certified partner to help with your water damage projects, especially one that you can count on. 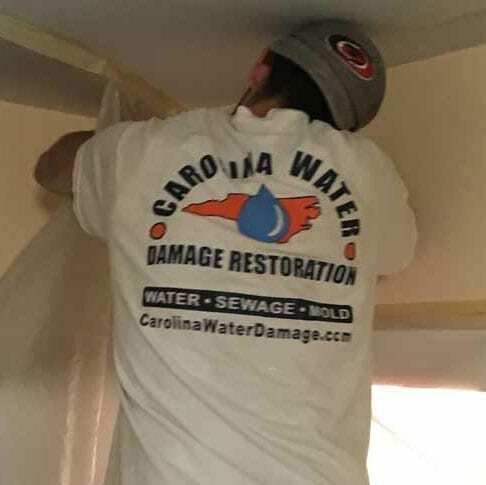 Carolina Water Damage Restoration utilizes state-of-the-art water extraction technology and has highly trained water damage technicians on staff year round, 24 hours a day to handle even the toughest emergency water damage restoration job. We are based in the Triangle and serve Raleigh, Apex, Cary, Chapel Hill, Clayton, Durham, Fuquay-Varina, Garner, Holly Springs, Knightdale, Lillington, Morrisville, Wake Forest, Wendell, Zebulon, & the surrounding areas of NC.